One year after rebuking management over climate change, owners of the $330 bln oil giant turned quiescent. They toed the company line on pay, lobbying and splitting the chairman and CEO roles. If returns remain subpar, investors will have no one but themselves to blame. Details about ExxonMobil stock are shown on a screen above the floor of the New York Stock Exchange in the Manhattan borough of New York, December 8, 2015. 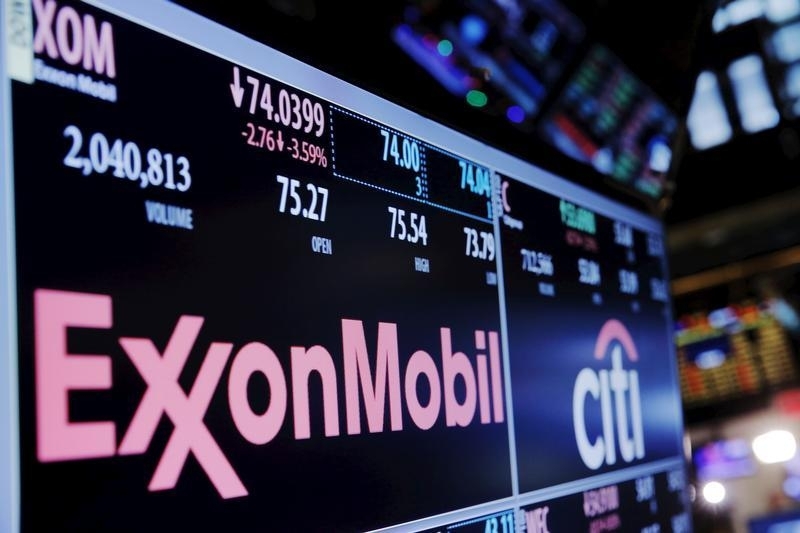 Exxon Mobil shareholders voted along with the company’s recommendations on several proposals at the annual meeting on May 30. They rejected a proposal to split the roles of chairman and chief executive officer, and more than 70 percent of shareholders voted to support the company’s executive compensation plan. Proxy advisory firm Institutional Shareholder Services had recommended investors vote against the plan. Shareholders also approved the full slate of 10 nominees to the board and voted against a proposal calling on the company to increase disclosure on lobbying expenditures. Shares were up almost 4 percent at $81.54 at 3:13 p.m. EDT.